Ua mau ke ea o ka 'aina i ka pono. The very life, breath & spirit of the land endures in right relationship between people, nature & Spirit. Are you, like me, on a life journey of healing and peacemaking? I seek to provide not only massage that relieves pain, helps a person move easily and that feels good to receive. I also seek to provide a transformative healing session when so desired by the receiver. Practicing hooponopono in my own life opens the door to this possibility. Practicing ho'oponopono is a vital part of my lomilomi training which helps me to develop peace, ease and health in my own body, mind and spirit and thereby clears the way for me to be an open healing channel when I share lomilomi with others. 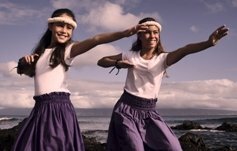 Every lomilomi teacher I've studied with over the years has integrated ho'oponopono teachings into the lomilomi classes they teach. In this series of webpages I share some of what I've learned about ho'oponopono from my teachers, and I share ho'oponopono stories from my personal life. Ho'oponopono, sometimes referred to as simply ho'opono, is a concept, a value and a related set of practices that have been used in Hawaiian and other Polynesian cultures for centuries to support harmonious relationships between people, nature and Spirit. Specific ho'oponopono practices have developed over time and they continue to evolve to this day. Harmony in one's external relationships begins by establishing harmony between one's own body mind and spirit. "If it is good, if it is in balance, if it is right, if it helps, if it is righteous, if it corrects, if it is responsible, if it is caring, if it is humble, if it is peaceful, if it honors, it is pono." Ho'o means to cause something to happen, so ho'opono means to cause something to be pono - to be right, good, just and/or in alignment with all people, places and things. By reduplicating pono in the word ho'oponopono, full achievement of goodness is accentuated. When determining whether a thought, word, deed or action is truly pono - that is whether it serves the highest good - we consider how it affects not only our present generation of family and community, but also how it affects both our ancestors and our descendents. All of life forms are inter-connected. In land based indigenous cultures family includes not only our human relatives but also all of nature. To be pono on all levels, a thought, word, deed or action will serve the highest good of all of creation. 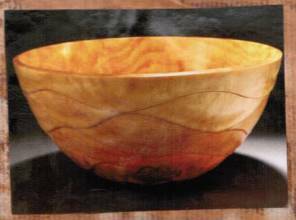 Pali includes this wonderful parable called the Bowl of Light in her book Ho'opono. This story was traditionally told to children in Hawaii to teach them to live a pono life. "Every child born has at birth, a bowl of perfect Light. If he tends his Light during his life it will grow in strength and he can do many things: swim with the shark, fly with the hawk, know and understand all things. If, however, he becomes resentful or envious, he drops a stone into his bowl of Light. Since Light and the stone cannot hold the same space, a little of the Light goes out. If he continues to put stones in his bowl of Light, the Light will eventually go out and he too will become a stone. A stone does not grow and a stone does not move. But, if at anytime he tires of being a stone, all he needs to do is huli (turn) the bowl upside down. The stones will all fall away and the Light will come back. His Light will shine once more upon the world around him and he will begin to grow once more." Hooponopono is about both the ways we tend our Light and also the way we turn over our bowls to release stones that we've accumulated along the way. Some hooponopono practices can be done individually and others are done cooperatively. Different hooponopono methods have been developed and used in Hawaii over the centuries as an integral part of healing and new variations of ho'opono practices continue to evolve. Various ho'opono practices include use of thoughts, words, tones, meditations, visualizations, affirmations, chants, prayers, ceremonies, deeds and actions which establish and support pono relationship with all people, places and things. Practices of forgiveness and reconciliation related to events that occurred within our own life times, as well as those that occurred in preceding generations, are especially important. In her book Ho'opono, Pali Jae Lee refers to humanity's varied spiritual life journeys as different paths up a mountain. She emphasizes that many different, equally valid paths exist to climb to the top of the mountain. 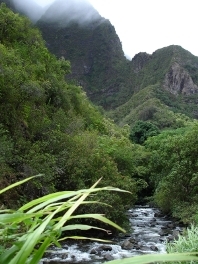 Different ho'oponopono practices are found on the different paths. In the pages that follow I've interwoven examples from my life into my reflections of various ho'opponopono practices I've learned from different teachers. Enjoy! !